You’ve come to the right place for superior online casino fun – All Slots Casino. One of the most veteran casinos, All Slots runs on Microgaming games and sports one of the most generous welcome offers around. Casino bonuses abound – check back often so you don’t miss the bonus of the day! When All Slots Casino opened for business, the online casino business was still in its infancy. All Slots, at the time, offered fewer than 100 games, it had no mobile casino, and it as yet had no Live Casino feature. Whereas today, the casino has hundreds of online slots alone, then it had a very small selection. To say the least, a lot has changed in the intervening 18 years. Perhaps the biggest change has been in the graphics and animation area. The great improvements that have been made by game developers like Microgaming, which is the exclusive provider for All Slots, have made games in every category exponentially more attractive and fun to play. Slots, which are driven by graphics because of their story-telling themes, now sometimes feature 3-D images from hit movies and television series. The leaps forward in graphics have also led the trend toward gamers playing in Instant Play mode. This means that you play right on your server and you don’t need to download. As All Slots has grown, it has become somewhat top heavy. The managers are reluctant to drop any game, however old fashioned it is, so the more than 600 games on offer there would take up a lot of hard drive space if you needed to download it. 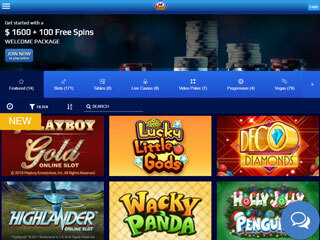 Instant Play solves this problem and gives gamers the freedom to play at a number of casinos, sampling the games they have from other developers. All Slots offers a huge array of games led by a couple of hundred slots. The five reel slots at the casino feature all of the attractions that have made online slots so popular. You can play to reach the free spin bonus rounds by getting three or more scatter symbols. In the bonus rounds, multipliers may appear. In some games, there are multipliers also in the base game so, in these games, the multiplier normally increases in the bonus rounds. In Lucky Leprechaun, you can get a 100x multiplier if you have a little luck of the Irish. Slots on every good online casino have benefited greatly from the giant strides computer technology has experienced regarding graphics. That’s why we say that some of the games at All Slots Casino are old fashioned; they have the look of high level productions BG, before graphics got so much better than before. There is still a small but vocal group of players who love the old slots so All Slots keeps them up. All Slots carries a big selection of table games. You can play blackjack, poker, craps, roulette, baccarat and many others. Some games have multiple variations so it’s always a good idea to learn the rules well before you play for real money. You can learn the rules by playing in free play mode as long as you like, or by accessing one of the many good tutorials available at All Slots. The payout rate in video poker is actually the highest of any game category at the casino. For that reason alone but also because they love poker, video poker is becoming almost as popular as slots. The return to player rate is so close to 100% that by learning well the variations you want to play, you can make almost any gaming session in video poker a “win-a-little-lose-a-little” proposition. That jives well with All Slots’ commitment to responsible gaming. All Slots Casino has about fifty casual games. These have bright colors and fun motifs but the payout rates are relatively low. We recommend playing these games only as a diversion from the better paying games you’ve been playing. If you like to go for the truly big payouts, you’ll enjoy the sixteen progressive games. They aren’t all like Mega Moolah which always restarts at $1,000,000 after the jackpots is won but they’ll reward you well if you’re lucky. All Slots recently redid their Live Casino feed. They still feature the most classic games such as roulette, blackjack, and poker but the sound quality is now much better than before. This makes interacting with the dealer so much more enjoyable. 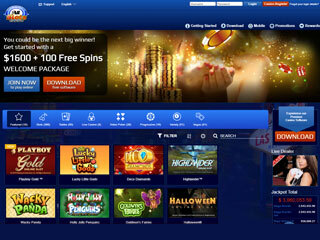 The Welcome Package offers up to $1600 in four bonuses and 100 free spins. The free spins are divided among four slots and each bonus carries 25 free spins on the selected slot. The casino runs many bonus promotions and a monthly promotion that usually gets broad participation because almost everyone wins. Check your in-casino mailbox often as they frequently treat their players with bonus codes to get yourself a little extra cash / free spins to enjoy. The loyalty club is run like almost every other online casino loyalty club. VIPs get the most personal attention with a dedicated account manager, gifts, trips, tickets and much more. We wish All Slots had kept the no deposit bonus intact. It wasn’t for much money but we felt it gave an air of friendliness to the casino. Without the no deposit bonus, some elements on the home page stand out. For one, the lines of text are too wide. We have never understood the reasoning behind such wide lines. Books, newspapers, magazines, and in fact most online casinos have much shorter lines of type. Secondly, the contrast between the text and the background is too small for easy reading. The text is light blue and the background is dark blue. Finally the font is too small. If these elements bother you, you’ll have a hard time reading what All Slots says about itself. However, we recognize that not all players really care to read the content on a gambling site. But, the fact that you’ve read this far, means that you are not one of those players! 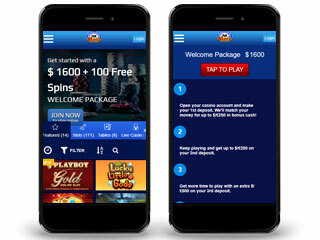 All Slots offers many deposit option to cover every gamers desire for security, speed, and privacy. The casino has not yet accepted bitcoin for deposit so it is a bit behind the industry. However, All Slots never stays behind the industry for long so bitcoin will surely be accepted there soon. All transactions are protected by the same type of encryption software that banks, investment firms, ewalllets, and the like use. The service desk at All Slots Casino stays open 24/7 but inexplicably they have done away with their toll free phone number. So now you can reach them by email or chat, only. All Slots is a Grande Dame of online casinos. The few criticisms we have should be taken with something of a grain of salt. For example, the casino is a bit top heavy with over 600 games but you can play in Instant Play mode. We feel that All Slots has a well-deserved reputation.